Marian Goodman Gallery is very pleased to announce our summer exhibition, Freeing the Line, which will be curated by Catherine de Zegher. The exhibition will open to the public on Thursday June 22nd and will be on view through Saturday, August 26th. 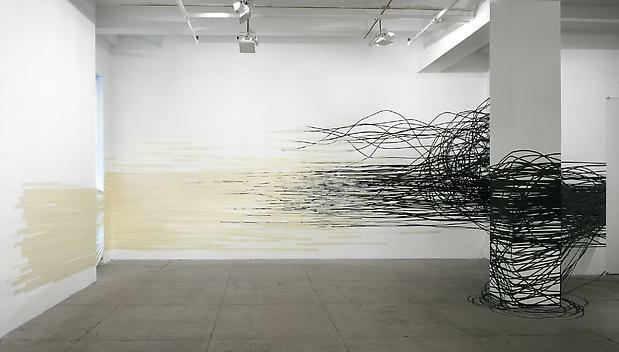 Freeing the Line will consider the departure of the line from the paper surface and its venture into space, and will juxtapose "drawings without paper" (as Gego titled them), made with wire and thread by artists in the late sixties and early seventies, with contemporary drawings. Through the course of the twentieth century, the liberation of line occurred hand in hand with the breakaway from the containment of sculpture in space, and the reinvention of that (social) space. 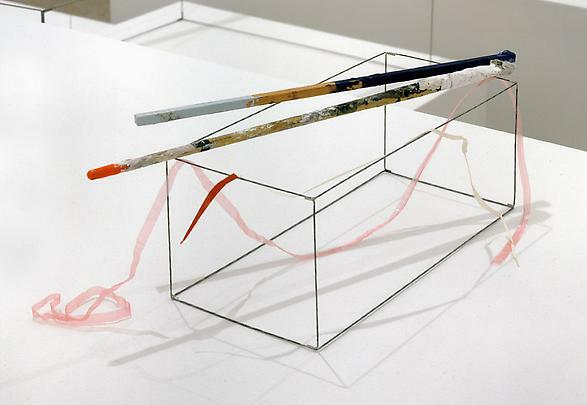 As the drawn line was freed from representation and brought to its essence, artists such as Gego (Venezuela), Eva Hesse (Germany/US), Karel Malich (Czech Republic), and Richard Tuttle (US) released it into space, effectively liberating the line of thought itself. Characterized as also pursuing the dematerialization of the art object, this generation can be seen, perhaps paradoxically, to have generated simultaneously the materialization of the line. 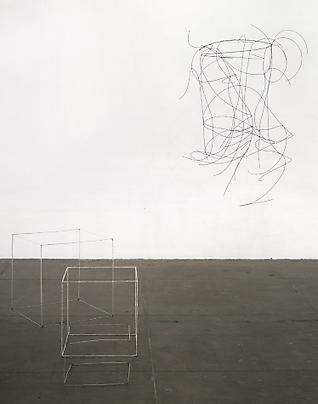 In the cord and wire pieces of these artists from the seventies, presented in the North Gallery, we witness a renewed commitment to materiality and tactile sensibility with drawing as a "moving" trace in time and space. existed. 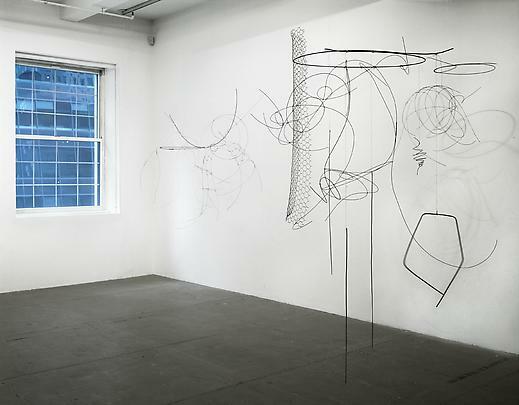 Consequently, drawing could be considered as a constructive deconstruction, across de- and re-composition, allowing us to understand marks and lines as constituting the ground and its articulation, and not that the support preconditions the drawing. 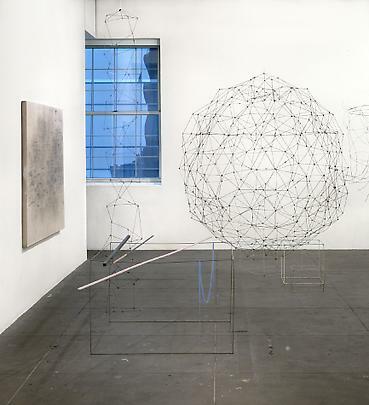 In this new conception of drawing, with interdependency stressed and not subservience, and with the recognition that a single mark can articulate and change the background itself—the order of our social reality—drawing becomes a rare "open" space in our contemporary world for the conscious and reflective development of subjectivity. 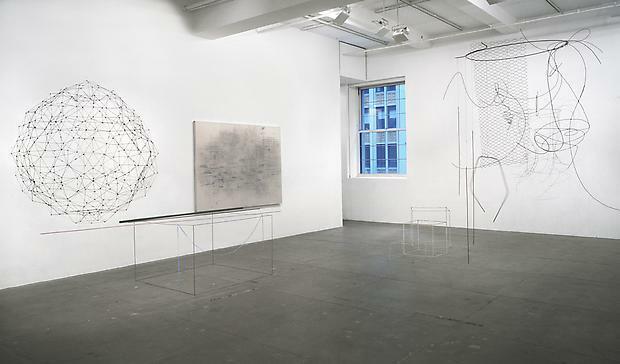 In the South Gallery, where most of the contemporary drawing is presented, the material visibility of this inexistent "open" space as new possibility is an essential feature. 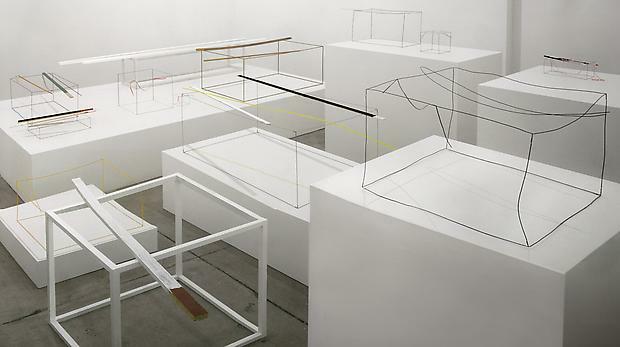 The Floating Lines and Volumes of Air of Tuerlinckx, for example, can be discerned as circumscribing this void or bringing distinctness in indistinctness, whereas the layering of the deconstruction of linear modernist structures has become the main topic of Mehretu's "psychogeographies," with their diaphanous veiled surfaces, as well as of Grzymala's temporary "room drawings" with her miles of adhesive tape. Here the directions are unexpected and the vantage points and lines are diverse and manifold. 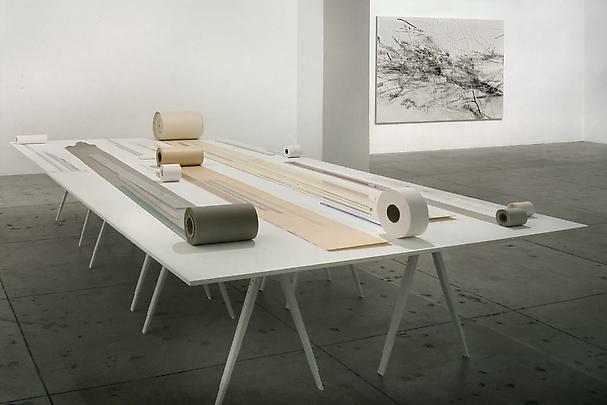 Often Mehretu's work reveals faint urbanistic plans, erasing global corporate architectures from the modern utopian metropolis in overdrive. 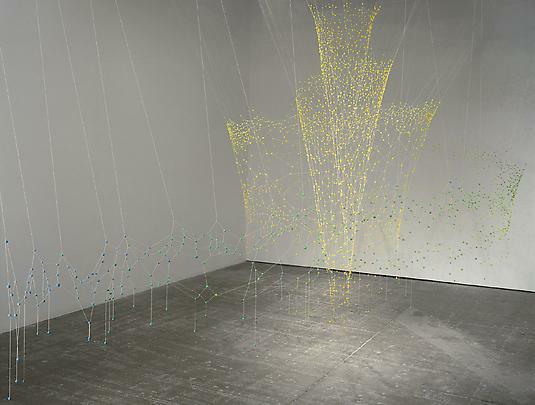 Then again, Shettar's suspended, spiraling beehive-like network, Vasanta (Spring), on view in the annex to the North Gallery, while reorienting us towards nature and a notion of space as shelter, resonates with its colored threads and nodules of rolled beeswax, with each of the other works, promoting dialogue and interconnection between individual acts of consciousness and sensuous awareness of the infinite in the everyday. An exhibition booklet, Freeing the Line, will be published in conjunction with the show. Please join us at the opening reception on Thursday, June 22nd, from 6 – 8 p.m.